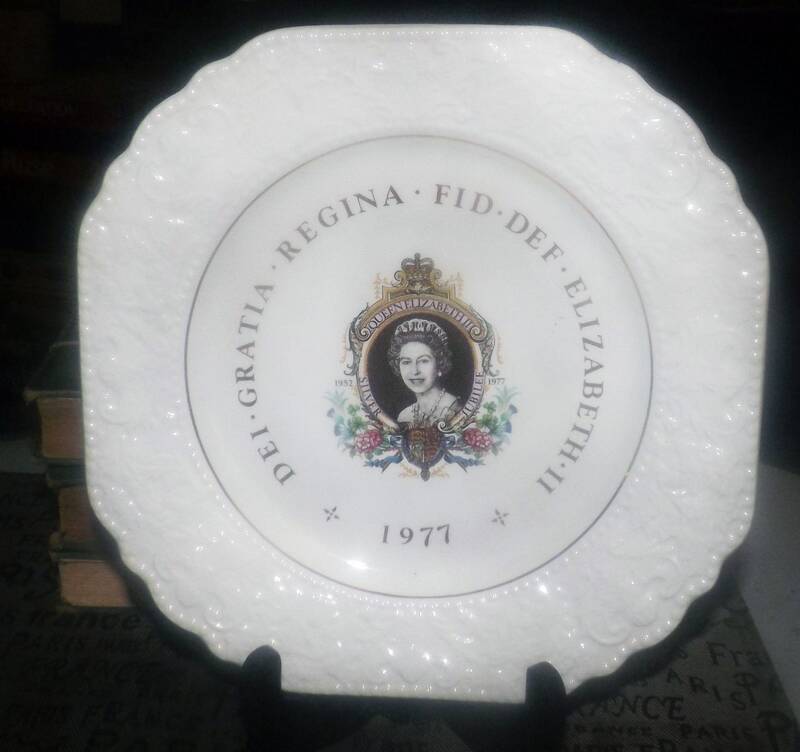 Vintage (1977) Lord Nelson Pottery England Queen Elizabeth II Silver Jubilee Commemorative Plate. Floral creamware verge. 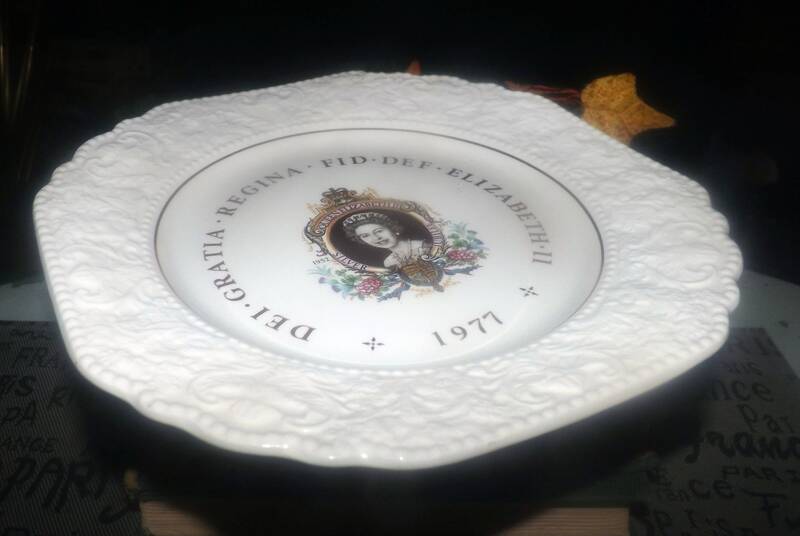 Vintage (1977) Lord Nelson Pottery Queen Elizabeth II Silver Jubilee Commemorative Plate with floral creamware and a scalloped edge. In EXCELLENT! condition with NO! chips, nicks, cracks, or fleabites and LITTLE TO NO! loss to the inset gold band. Plate shows LITTLE TO NO! crazing, and what there is in the way of crazing is noticeable mostly to the reverse (please review each of the posted photos for a complete visual of the item). 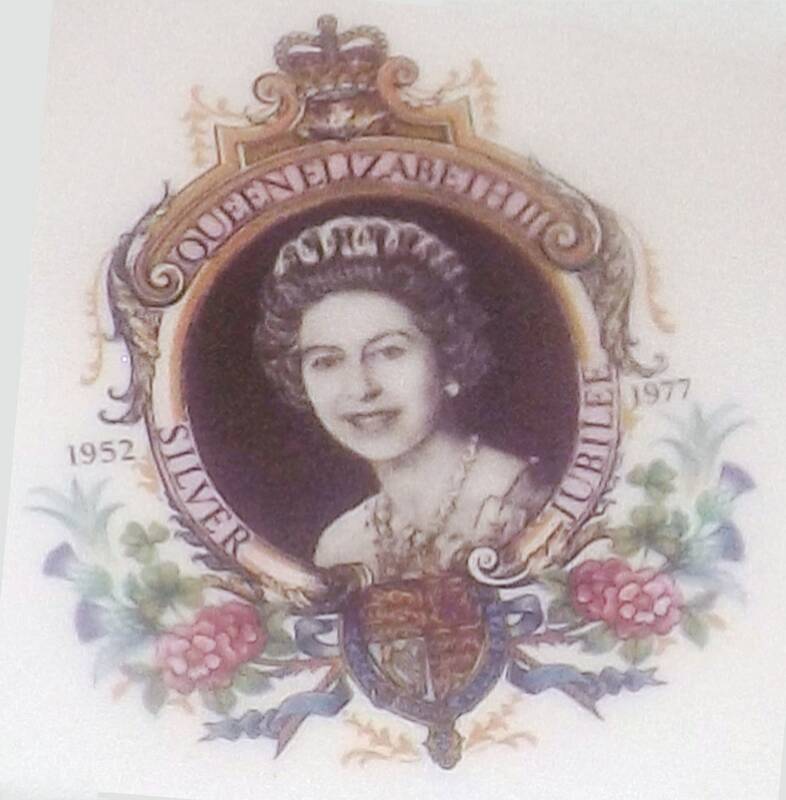 The central image of HRH Queen Elizabeth and the commemorative Silver Jubilee wording are bright and vivid with NO! fading or wear apparent. 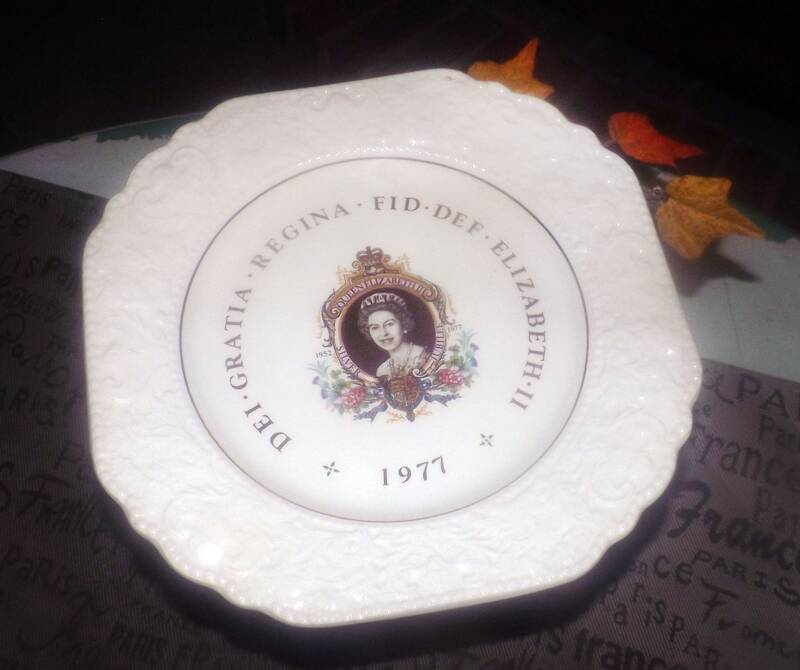 Wonderful cabinet plate for the British Royalty enthusiast! 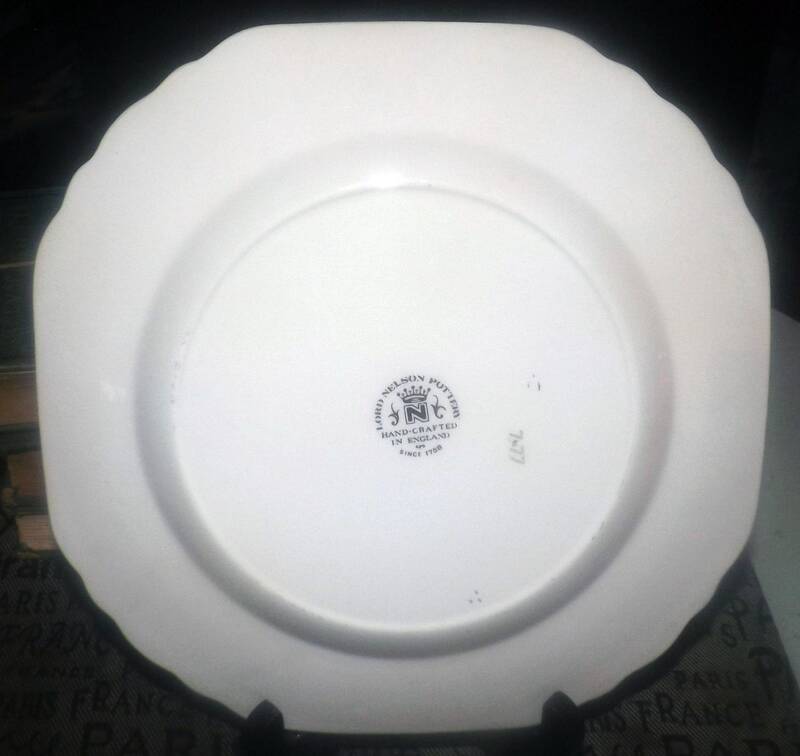 Approximate measurements: plate measures 9" diagonally with a scalloped, embossed edge.